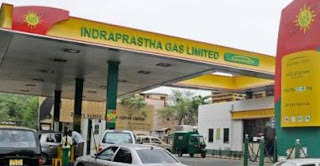 Taking CNG prices to an all time high in Delhi and NCR, Indraprastha Gas Limited (IGL) increased CNG ( compressed natural gas) and PNG (piped natural gas) prices by 8% in just 3 months of its last revision of prices. The current CNG price in Delhi is Rs 45.60 per kg in Delhi and Rs 51.55 per kg in Noida, Greater Noida and Ghaziabad. Gujarat based GSPC Gas also hiked CNG price on Thursday to Rs 66.30 per kg, the highest CNG price in the country. The new revised price for piped natural gas supplied in households in Delhi is Rs. 27.50 per scm. Beyond consumption of 30 scm in two months, the applicable rate in Delhi would be Rs 47.50 per scm. CNG price in Mumbai was hiked by Rs 3 per kg to Rs 38.95 per kg from today.